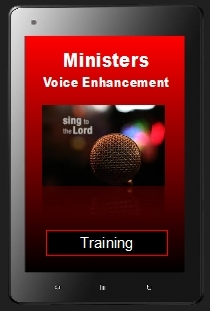 Ministers Voice Enhancement - (EPT) Excellence Private Training Sign up online today! PaSTOR D sign up today for private training (In-Home). We provide piano, guitar, bass, keyboard sequencing, voice, song writing lessons. Also audio & video production graphic design, website designing and ministry preparation & bible training. Pastor Jimmy Swagger, Bishop Paul Martin Sr., Pastor R.L. White, Pastor Timothy Flemmings, Pastor D, etc..
Singing, like all other gifts, can be learned and improved thru training. Very often, a minister has not used his or her voice enough to really understand their own voice potential. Come work with me and give it a try! You may stay with me as long as you like. If indeed you are interested in ‘Tune Up” voice training, create a list of songs that you hope to sing. Let us come together and see what we can accomplish for the glory of God and the enhancement of your ministry. Call to schedule a meeting with Pastor D to discuss your interest, your personal schedule, fees, training requirements, rules & regulations, and suggested lesson tools. Be sure to review the Web site before calling!